We met in high school, when there was nothing more important than the homecoming dance, when a drivers license was a commodity, and when passing notes was an art form. 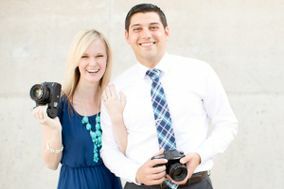 Today, we're a husband and wife wedding and portrait photogaphy team based in Scottsdale, Arizona. We've been featured in People Magazine Online, E! Online, Style Me Pretty, Elizabeth Anne Designs, and more. We're available for travel worldwide.